Lebron James - 小皇帝 "The Little Emperor"
A play on the English "King James" that is also a slang term for a "spoiled only child" under China's "One Child Policy"
Used more when Lebron was young but now mostly by Lebron haters. His fans prefer 詹皇 (Zhan Wang or "King James"). 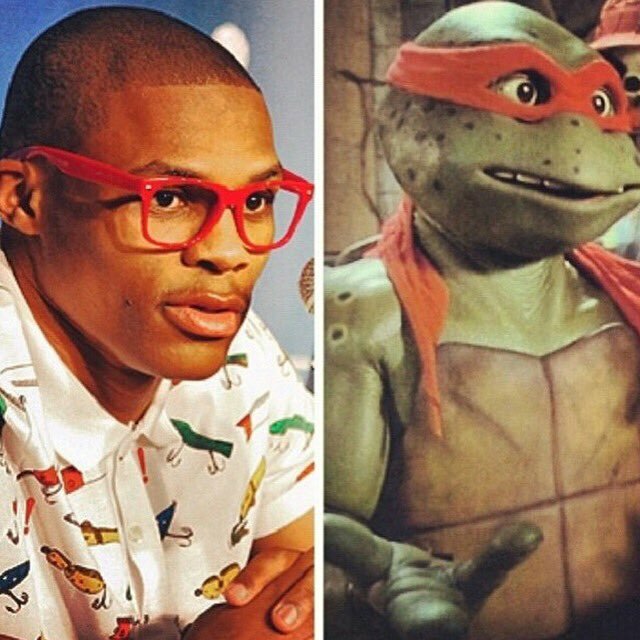 Russell Westbrook - 威少 "Wei Dude"
Giannis Antetokounmpo - 字母哥 "Letters Bro"
Because his last name has...so...many...letters! Kobe Bryant - 蜗壳 "Snail Shell"
Shaquille O'Neal - 大鲨鱼 "The Giant Shark"
Toward the end of his career, he was frequently called "O'Fat" (奥胖) - a play on "O'Neal." Klay Thompson - 佛祖 "The Buddha"
Because his very short curly hair reminds Chinese people of the Buddha's hairstyle in traditional Chinese art. Carmelo Anthony - 甜瓜 "Melon"
Kevin Durant - 书包杜 "Schoolbag Du"
Charles Barkley - 飞猪 "The Flying Pig"
Michael Jordon - 帮主 "Gang Boss"
Jordan's ordinary name in Chinese is 乔丹 (qiao dan), but Qiao is also the surname of Qiao Feng, the leader of the "Beggars' Sect" in popular wuxia martial arts novels, often known simply as "Gang Boss Qiao" (乔帮主). 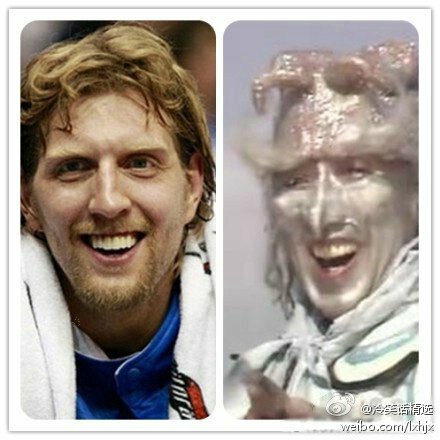 Dirk Nowitzki is 德国战车, "The German Panzer Tank"
Tony Parker is 法国小跑车, "The Little French Sports Car"
However, "Dr. J" did get turned into J博士 ("J, Ph.D."), and Steve Francis's nickname "The Franchise" was badly translated into 特权 ("Special Rights"). Scottie Pippen - 天下第二人 "Second Best Under Heaven"
Dwyane Wade - 典韋 "Dian Wei"
Dian Wei was a mighty warrior from the ancient Three Kingdoms Period who was a loyal sidekick of the general Cao Cao. He famously died covering for Cao Cao's retreat when they were ambushed by a rebel army. His name also sounds like "Dwyane Wade." Stephon Marbury - 马政委 "Marburyist Political Commissar"
This is a pun on "Marxist Political Commissar," since in Chinese both "Marbury" and "Marx" are spelled with the same first character "ma" ("horse"). Kevin Garnett - 狼王 "King of the Wolves"
Steve Nash - 风之子 "Son of the Wind"
Joel Embiid - 大帝 "The Great One"
"Da di," meaning "great emperor" is the title used in Chinese for rulers who are called "the Great," as in "Alexander the Great"
Tim Duncan - 石佛 "The Stone Buddha"
Hakeem Olajuwon was known as "The Dream" in English, but this got upgraded to 大夢 ("The Big Dream") in Chinese. Anthony Davis - 浓眉 "The Thick Brow"
Tristan Thompson - 八贤王 "The King of Eights"
Thompson held out of training camp in 2015 and received a contract worth more than 80 million, despite averaging only 8 points and 8 rebounds in 2014-2015. "The King of Eights" was a nickname for several historical Chinese rulers. 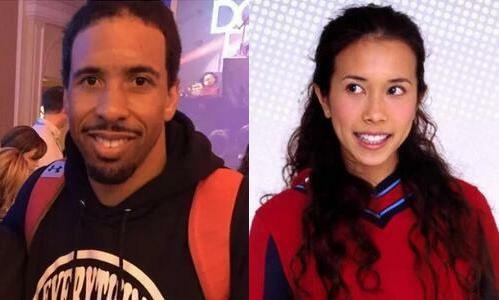 Andre Miller - 莫文蔚 "Karen Mok"
Sometimes the Chinese give people feminized nicknames if they think they are too soft or do not conform to masculine stereotypes. 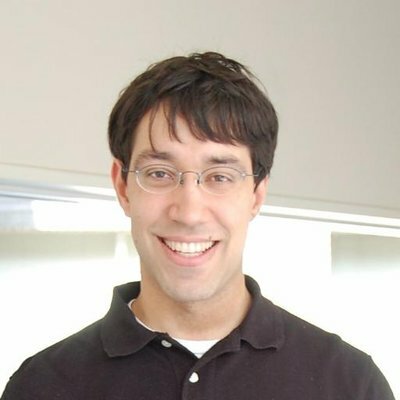 Thus Pau Gasol is 家嫂 (jia sao, "Sister-in-Law") since it sounds a bit like "Gasol." Gordon Hayward is 九妹 ("The Ninth Sister") since he was the 9th pick in the draft. Boogie Cousins - 表妹 "Younger Female Cousin"
They directly translated his last name into Chinese, but went with the most effeminate version possible. Robert Horry - 關鍵先生 "Mr. Crucial"
Kyle Lowry - 小鋼炮 "The Little Cannon"
Derrick Rose - 玫瑰 "Red Jade"
A poetic play on his last name "Rose"
Mo Williams - 莫不傳 "Mo Won't Pass"
JaVale McGee - 囧神 "Gaffe God"
Paul George - 泡椒 "Pickled Chili Pepper"
This is just because the pronunciation, pao jiao, sounds a bit like "Paul George"
J.R. Smith - 神經刀 "The Nerve Knife"
Charlie Villanueva - 無眉大俠 "The No-Eyebrow Knight"
James Harden - 景德镇镇长 "The Mayor of Jingdezhen"
Jingdezhen is a town famous for making fragile porcelain, so "Son of Jingdezhen" (景德镇之子) is a term for an NBA flop artist. Harden is perceived to be the best at this "art," so he gets to be the "mayor" of Floptown. 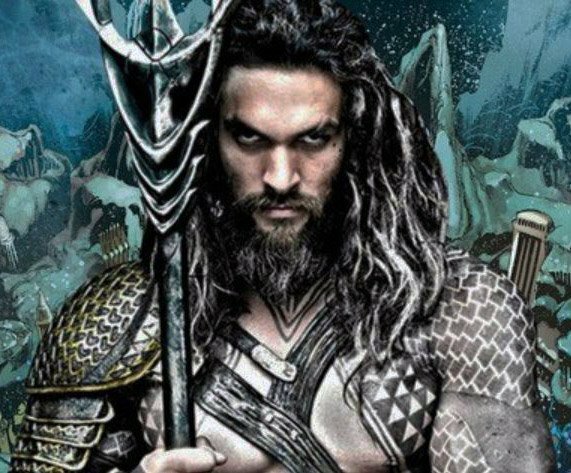 Another common nickname for Klay Thompson is 汤神 "Soup God"
Rather, the character for soup (汤) is the also the first sound in the phonetic rendering of "Thompson," so this is sort of like saying "Thom-God"
Similarly, Kristaps Porzingis is called 波神 "Wave God," also like saying "Po-God"
Dwight Howard was originally nicknamed 魔兽 "The Magic Beast," back when he was on the Orlando Magic. 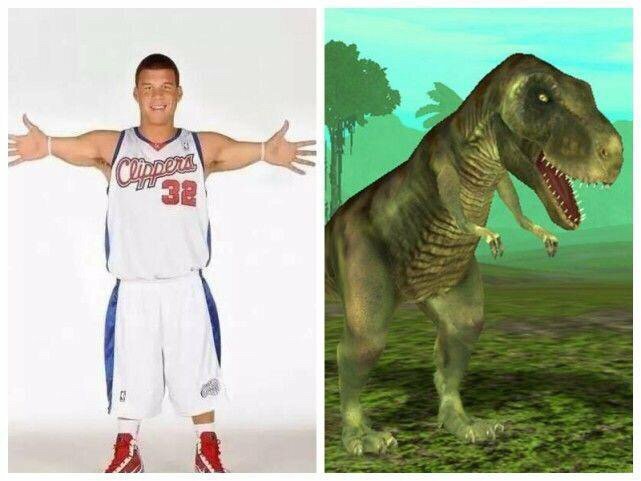 But after his troubled stint with the Lakers, some angry Chinese Lakers fans started calling him 魔胎, which uses the same first character, but means "The Evil Baby." Draymond Green - 追梦 "Chasing Dreams"
Because "chasing dreams" (zhui meng) sounds a lot like "Draymond." It can also allude to Green's unlikely path to stardom after being selected with the 35th pick in the second round of the draft. Chinese netizens love to adapt Kobe's nickname "Black Mamba" (黑曼巴) for other players. Of course they translated "White Mamba" (白曼巴) for Brian Scalabrine and "Red Mamba" (红曼巴) for Matt Bonner. But they respect the "Mamba" name & prefer to apply it to somewhat more prominent players. James Harden is the "Free Throw Mamba" (罚曼巴) for his otherworldly ability to get to the free throw line. More critically, he is known by haters as the "Porcelain Mamba" (瓷曼巴), suggesting that he gets fouls from barely being touched or by flopping. Victor Oladipo is the "Diligent Mamba" (苦练曼巴) because Chinese netizens feel he drastically improved since last year, and therefore must have practiced very hard over the summer. Texting his trainer right after a game 7 loss only further validated this nickname. Andrew Wiggins is the "Strength Conserving Mamba" (养生曼巴), because people feel he is not aggressive enough and avoids dunking. Boogie Cousins is the "Technical Mamba" (T曼巴 - literally, "T Mamba") due to his propensity to be assessed with technical fouls. Clint Capela is the "Pancake Mamba" (饼曼巴), because in Chinese scoring off of alley-oop lob passes is known as "eating pancakes." 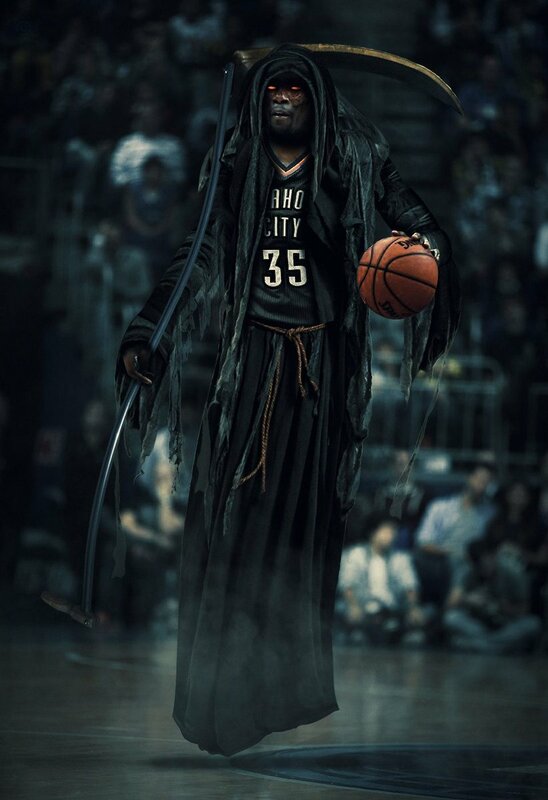 Andre Iguodala is the "Coffin Mamba" (棺曼巴). People feel he plays like an old man in the regular season, but then suddenly comes back to life in the playoffs. This transformation is known as "opening the coffin lid" (打开棺盖). More loosely translates to "Vampire Mamba." Ryan Anderson is the "Standing Around Mamba" (站曼巴), because people feel he just stands around behind the three-point line, waiting for a catch-and-shoot pass. 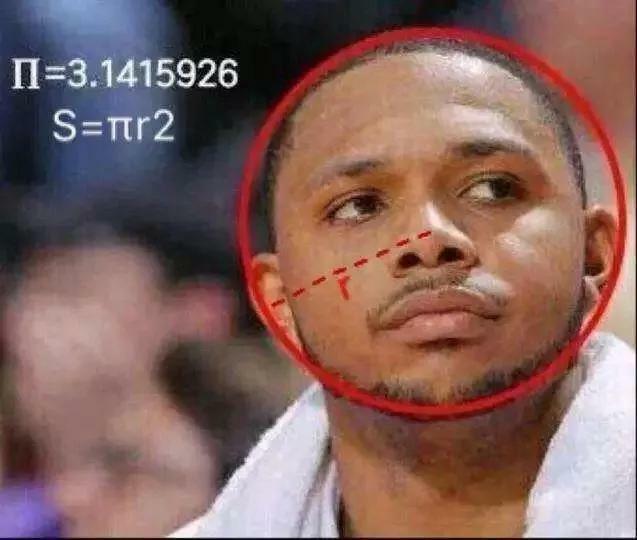 Eric Gordon is the "Round Face Mamba" (π曼巴, literally "Pi Mamba") because his face is really, really round. Corey Brewer is the "Laughing Mamba" (笑曼巴), because he is known for his smiles and laughs. Manu Ginobili became known as the "Bald Mamba" (秃曼巴) once he started going bald. 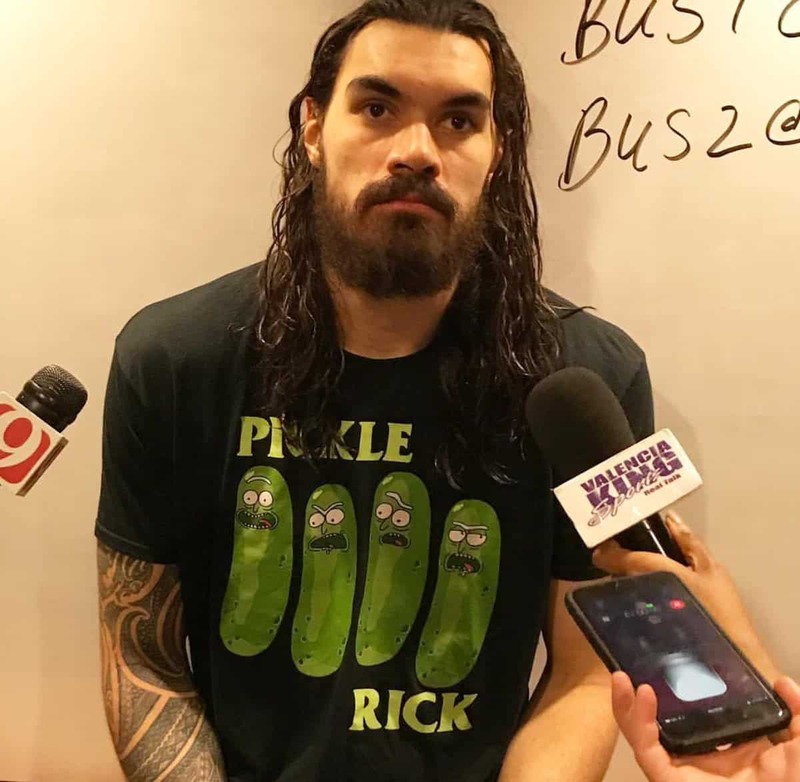 Steven Adams is the "Box Out Mamba" (卡曼巴). People feel Russell Westbrook is always looking to pad his stats, and that Adams is a genius at boxing out other big men so that Russ can swoop in and grab the rebound. Kyrie Irving is the "Flat Mamba" (平曼巴) because of his stated belief that the Earth is flat. Other Chinese nicknames for Kyrie include "Uncle Drew" (德鲁大叔, de lu dashu) and "Potassium Iodide" (碘化钾), since both he and it are abbreviated KI. Bobby Portis & Nikola Mirotic - (血花兄弟) "Gash Brothers"
After Portis punched Mirotic in the face, Chinese media called them "Gash Brothers" by analogy with "Splash Brothers." Could also translate as "Blood Brothers," with same meaning of becoming brothers by shedding blood. Doc Rivers - 河文档 "River Document"
Isiah Lord Thomas III - 微笑刺客 "The Smiling Assassin"
Isaiah Jamar Thomas - 最强175 "The Great 5'8""
Literally "the strongest 175 [centimeters]"
DeMar DeRozan - 北境之王 "The King in the North"
Chris Bosh - 龙王 "King of the Dinos"
It turns out that even many Chinese people don't realize that this word for "mattress" originally came from the Chinese name of the Simmons mattress company. It has become genericized like Kleenex or Jacuzzi. 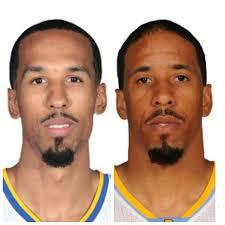 So Simmons sounds like Simmons because they are both Simmons! Chinese fans have also built an elaborate group of nicknames around the 76ers. Saric is the "Sa Prime Minister" (沙丞相) - 沙 is from 沙里奇 "Saric"
Covington is the "Co General" (科将军) - 科 is from 科温顿 "Covington"
Alonzo Mourning - 肾斗士 "The Kidney Warrior"
This is a pun: "Kidney Warrior" (shen dou shi) sounds like the "saints" 圣斗士 (sheng dou shi) in the Japanese manga "Saint Seiya"
Vince Carter - 半神 "The Demigod"
Literally "half god" - this was a lazy attempt to translate "Half Man, Half Amazing"
Zach LaVine - 文天祥 "Zach Skywalker"
But after he went bald, people started calling him the "Pampas Condor" (潘帕斯禿鹰), because the Chinese word for "condor" is literally "bald eagle"
John Wall - 囧墙 "Wrong Wall"
The second character (墙) literally just means "a wall"
Zach Randolph - 烂豆腐 "Mashed Tofu"
Russell Westbrook - 忍者龟 "The Ninja Turtle"
Victor Oladipo - 奥迪 "Audi"
"The Hoodlum Tycoon" is also the name of a famous Hong Kong TV drama from the 1980s that is widely known throughout Asia and was called "The Feud of Two Brothers" in English. Bill Russell - 指环王 "The Lord of the Rings"
Because he has the most championship rings. This is also the same characters used for the J.R.R. Tolkien books and films. Dirk Nowitzki - 司机 "The Chauffeur"
This is even funnier than it sounds because these same two nicknames had been used previously for Austin Rivers, who of course is Doc Rivers’ actual biological son. But many people switch the first character (獭, meaning “otter”) for an extremely similar character that means “lazy” (懒), and instead just call Tatum the “Lazy Rabbit” (懒兔). This is funny because this is also the Chinese given name of the massively popular Taiwanese-born pop star Jay Chou (周杰伦 Zhou Jielun). Al Horford - 伙夫 "The Cook"
Because it sounds like "Horford"
He is also called "The Basketball Blindness Detector" (球盲鉴定器) because casual fans see his size and think his points/rebound totals are too low, but miss all the subtle things he does to make his team better. P.J. 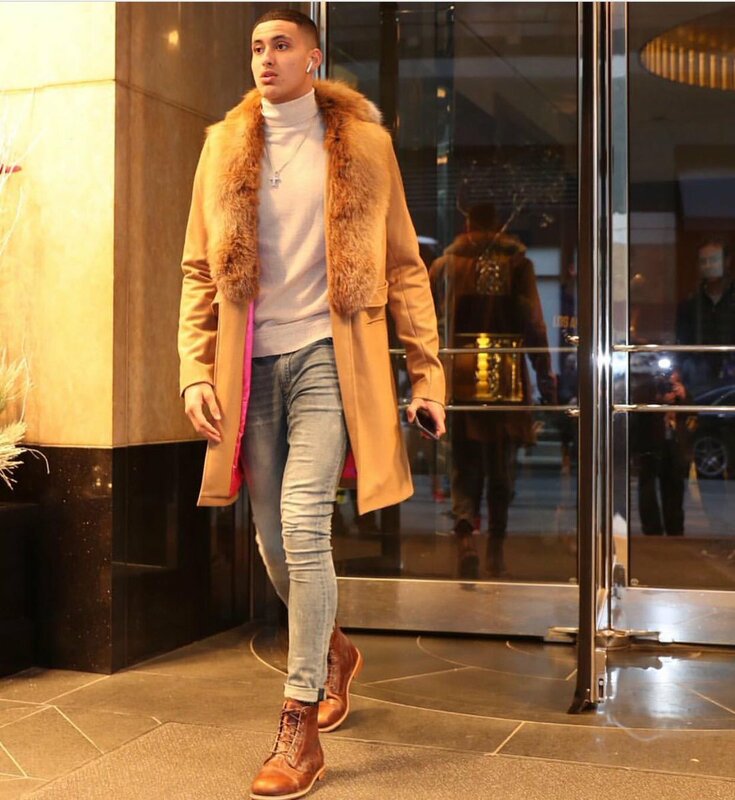 Tucker - 鞋王 "The Shoe King"
Kevin Durant - 死神 "God of Death"
Kyle Kuzma is called "trousers size" (裤子码) or just "trousers" (裤子) because it sounds like "Kuzma/Kuz"
Another nickname for Dirk Nowitzki is "Silver Horned King" (银角大王), a demon in the classic Chinese saga "Journey to the West"
Paul Pierce is called 包皮 "The Foreskin"
Originally he was called "Captain Pierce" (皮尔斯队长), based on his English nickname "The Captain." Finally they just went all-in with "The Foreskin."